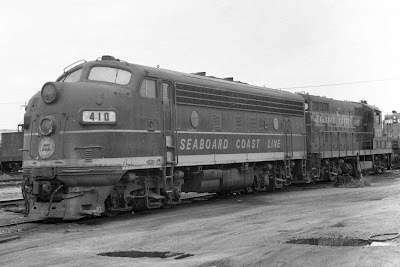 Received the following photos of Seaboard Coast Line (SCL) engines via email. They were taken by Kermit Geary, Jr. in his younger days when his parents had him out in his stroller. And yes, they are in black and white. Following is an editorial from The Star-Ledger (a New Jersey newspaper) posted on their web site on 1-20-08. For years, railroad officials have been arguing that federal law pre-empts New Jersey's attempts to regulate the trackside waste transfer depots that have been popping up around the state. Finally, efforts to increase local oversight may be gathering steam. Last month, Sen. Frank Lautenberg (D-N.J.) inserted a provision in a federal funding bill that requires state approval before railroads can start new trash transfer operations. Unfortunately, the Lautenberg language doesn't affect already operating transfer stations. And the state Department of Environmental Protection, as well as Paterson and a number of other communities, have serious concerns about odor, dust, stormwater runoff and other issues at the dozen or so facilities now in operation around New Jersey. 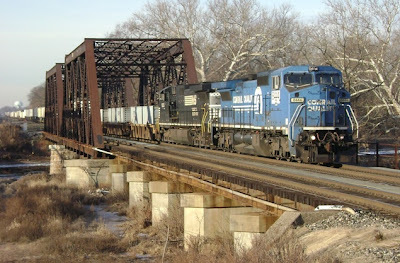 Many of those sites, including a number run by the New York, Susquehanna & Western Railroad, have begun taking steps to limit their impact on local communities, such as paving dusty parking lots or enclosing the tipping areas where construction waste is dropped off by trucks before being loaded onto trains headed to out-of-state landfills. But the DEP still lacks direct oversight of these operations, thanks to a quirk in federal law that exempts railroads from significant local control. Lautenberg, Rep. Frank Pallone (D-6th Dist.) 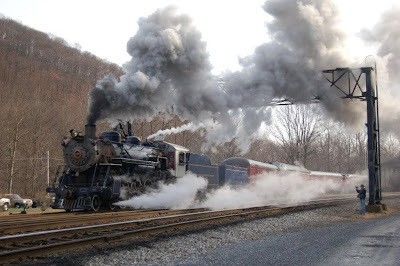 and others are pushing legislation that would change federal statutes so states can ensure that existing railroad transfer stations also meet reasonable health, safety and environmental standards. Congress should make this change. It is not an issue just in New Jersey. New York, Massachusetts and several other states also are seeing rapid growth in the amount of trash moved by railroads. Shipping trash by train can be a major public benefit because one train can remove dozens of tractor trailers from the highways. But states need to be able to make sure the transfer stations don't create new problems for local neighborhoods or those along train routes. The NJ Transit train station in Somerville, NJ, will be renovated to provide access for the disabled. The work to be done will include new high level platforms, new ramps and stairs, elevators, and a new waiting room. The station will also get face-lift. Planning will begin shortly, followed by taking bids from contractors, with actual construction probably starting in the fall. More details can be found in a Courier-News article posted on their web site on Monday, 1-21-08. Link below. Here is a good example of photographic compression. Photo taken by Kevin Andrusia on 1-14-08. This pic has been bouncing around the internet attached to emails (we received it more than once), but maybe you are not on the "right" mailing list. So here it is along with one of the emails. A mile worth of circus train photographically compressed into a single frame with a telephoto lens (it shows the entire train's consist -- note vehicles already crossing tracks at the grade crossing beyond last car). 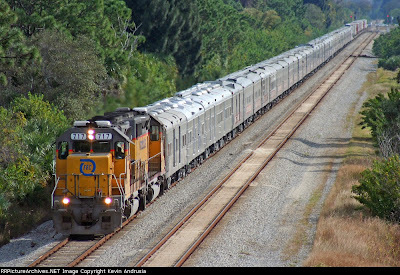 Kevin Andrusia captured the RINGLING BROS. and BARNUM & BAILEY Circus "RED UNIT" train yesterday (1-14), northbound at Palm Bay, FL (near Melbourne). 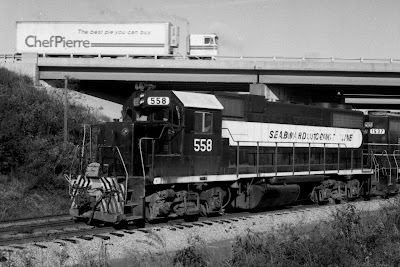 The 58-car 137th Edition Show (now on the 2nd half of its 2-year tour) is seen on its Miami-to-Columbia, SC (long jump) run via Florida East Coast Railway, en route to interchange with Norfolk Southern in Jacksonville. The RBB&B BLUE UNIT train was also on a repositioning ('jump') run in FL, yesterday, headed north from Orlando to Jacksonville on CSXT. 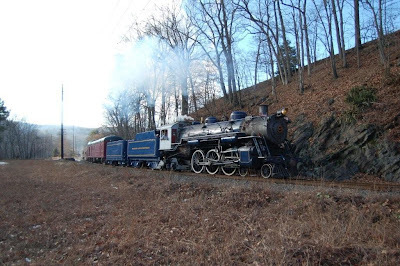 This year, the BLUE UNIT train is 62 CARS -- 138th Edition Show (now on the 1st half of its 2-year tour). 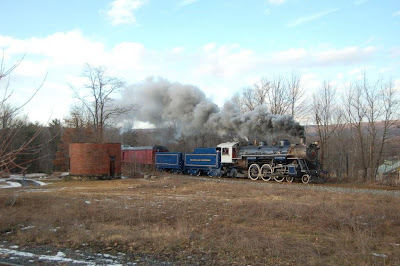 Photos below are by Kermit Geary, Jr., taken on the Western New York and Pennsylvania railroad (WNYP) in Olean, NY on 1-16-08. 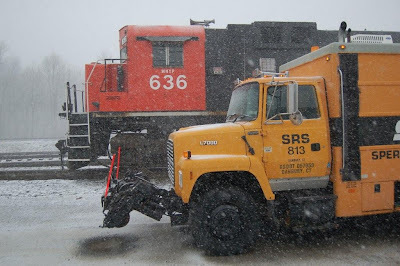 Note the SRS (Sperry Rail Services) truck. I think Kermit is putting in a plug for his employer. 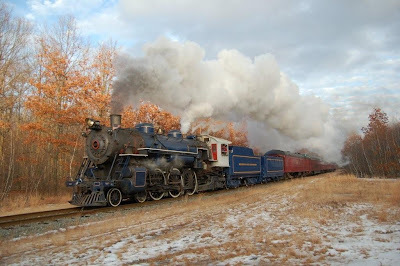 The Somerset 4-H Trainmasters is having their annual winter train show this weekend, 1/19/08 and 1/20/08. Members will have their modules set up for all to see. Operation Lifesaver will be there. There will be Brio trains for the little ones to play with. Train related videos will be shown. Please come and enjoy the work of the members. You won't be disappointed. Received the following news article via email with no date and no citation or reference to the original source. Date of email was 1/11/08, so assume the incident was on or before that date. A POLISH schoolboy who turned a city's tram network into a giant toy by maneuvering rolling stock using a TV-style remote control has been arrested after he caused chaos on the public transport system. Adam Dabrowski, 14, described by teachers as a model pupil and an electronics genius, hacked into the public transport network in Lodz to change the track points derailing at least four trams and leaving dozens injured. The teenager had also equipped himself with a hand- drawn map of city tram junctions. He told police in Lodz in central Poland he had changed the points on tram tracks across the city for a prank. However, in one incident alone 12 people were injured. The giant train set started operating at 1pm on Tuesday when a city tram driver tried to steer his vehicle on to right hand tracks, and found himself helpless to prevent it swerving to the left instead, seemingly of its own accord. The rear wagon then swung off the rails and crashed into another passing tram, hurling screaming passengers to the floor. Transport employees said they knew immediately that someone outside their staff had caused the accident. Miroslaw Micor, spokesman for Lodz police, said: "He studied the trams and the tracks for a long time and then built a device that looked like a TV remote control and used it to maneuver the trams and the tracks." Mr. Micor added: "He had converted the TV control into a device capable of controlling all the junctions on the line and wrote in the pages of a school exercise book the best junctions to move trams around and what signals to change. "He treated it like any other schoolboy might a giant train set – but it was lucky nobody was killed. "Four trams were derailed, and others had to make emergency stops that left passengers hurt. He clearly did not think about the consequences of his actions." Dabrowski is to face charges of endangering public safety in a special juvenile court. Rceived the following news article via email. It included no date nor original source citation or reference. Using the date of the email, I assume these incidents occurred the wekend of Jan. 5-6, 2008. NEWPORT NEWS - Fire investigators and railroad authorities are searching for vandals they say planted two makeshift explosives on Newport News train tracks this weekend, a few blocks north of the city's Amtrak station. Railroad workers spotted the first device around 3 p.m. Saturday on the tracks near North Avenue and Warwick Boulevard, behind the Hilton Shopping Center. After fire department workers removed it from the tracks, a second explosive appeared around 10 p.m., fire officials said. At least one Amtrak passenger train and several freight trains were delayed as bomb squad workers removed and deactivated the devices, said Robert Sullivan, a spokesman for CSX, the Jacksonville, Fla.-based company that owns the tracks and the freight trains that run on them. The tracks were reopened early Sunday morning. The bombs were detonated safely before trains could hit them, and no one was injured. "The devices appeared to be crudely built, and the work of vandals," Sullivan said. Police blocked parts of North Avenue, east and west of the train tracks, Saturday afternoon. Monica Long lives close enough to the tracks that her house rumbles when the trains go by. On Saturday, while the tracks were closed, it was the force of an explosive that rattled her home. Long, 48 said she saw flames on the tracks after 10 p.m., then heard a boom that shook the house so much it made the dogs howl. "It was a ball of fire," she said. "Like a big firecracker." She called police, who said firefighters had detonated a pipe bomb. Officials would not comment on how powerful the explosives were. "All I can say is there's no threat to public safety right now," said Newport News Fire Department spokeswoman Dana Perry. "We rendered the devices safe and the rest is part of the investigation." CSX investigators and the fire marshal's office are trying to find whoever is responsible for the explosives, Perry said. CSX officials have been in touch with federal agents, said Sullivan, but he could not say whether they were doing their own investigation. Officials with the Bureau of Alcohol, Tobacco, Firearms and Explosives did not return phone calls on Monday. This is the first time explosives have been planted on train tracks in Newport News, Sullivan said. "Obviously, any act of vandalism or anything that might endanger the safety of the public or the trains is something we take very seriously," he said. "We're investigating, and we'll prosecute anyone connected to the incidents to the full extent of the law." Something of interest received via email. A page on this site lists a former LV SW-1 as being sold in December for preservation. Unfortunately, it doesn't say who it was sold to. Does anybody know? were only two in number. Ice floes were still on the Raritan River as NS 20K came through around 8:57 with PRR 8444 (C40-8W, ex-CR-6273) on the point coupled with NS 9000 (C40-9W). 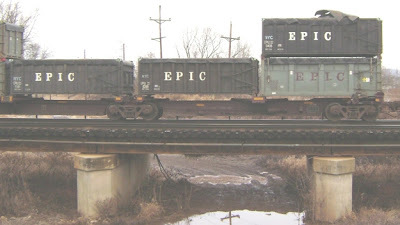 20K's trailing consist was made up TOFCs. 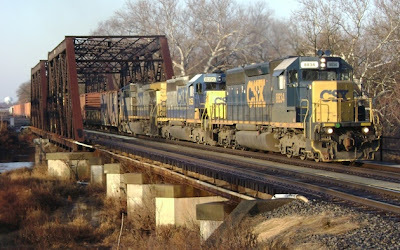 Ninety minutes later, CSX Q300 would finish working Manville yard and head east down the passing siding with 106 cars of mixed freight A good number of those cars would be trash containers on flatcars. A roster shot is included for the modelers as this is the orange colored flatcar and container. 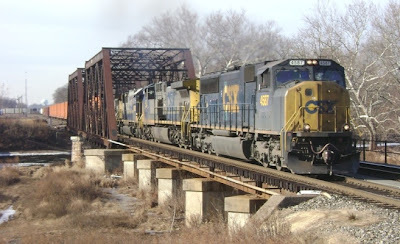 Motive power was CSX 4587 (SD70MAC), CSX 435 (AC44CW), CSX 8532 (SD50) and CSX 7768 (C40-8W). Falling into the "heard about but didn't see" category was NS 213, rumored to have UP power, and a NS high and wide load that passed through Alpha, NJ around 11:40. Ah, modern technology. Apparently GPS can't tell you when a train is coming your way. Click on the headline below. 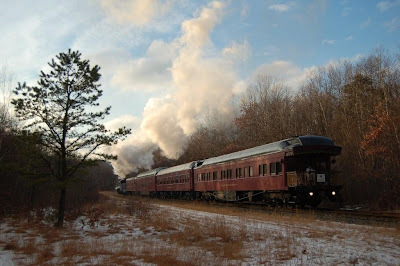 The Reading & Northern ran an excursion on Saturday, December 29, 2007 with a recently restored steam engine. We received the following text and pictures via email from Kermit Geary Jr. FYI - Port Clinton is just north of Hamburg, PA, along I78 west of Allentown. "A belated Christmas gift from the Reading & Northern came today in the form of the return to steam, after 11 long years, of the ex GM&N 425....or 4 & a quarter as she is affectionately called. 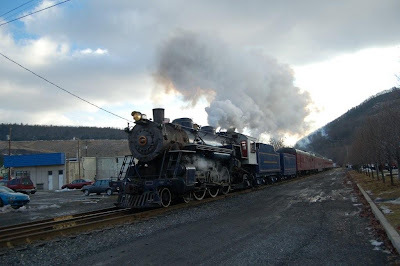 They put on a great show as it ran from North Reading, PA to Haucks, PA, turning on the wye there, and then heading back to Port Clinton, PA with a dinner stop at the restored Tamaqua Station. 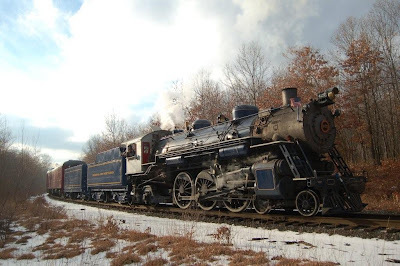 Thanks to Andy Mueller and the people of the R&N Steam program for a wonderful and memorable day." 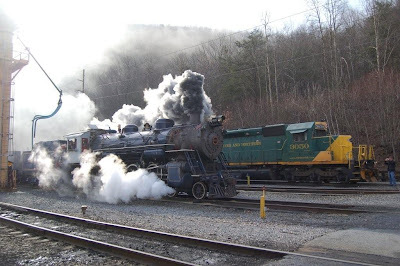 was the best way to describe this last day of being trackside for me in 2007 along the Lehigh Line in Manville (NJ). 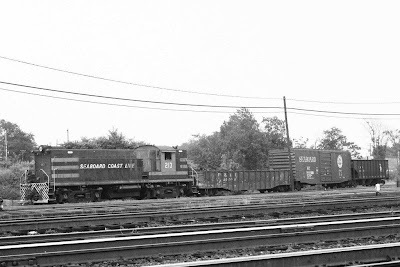 The something old started out with CSX Q300. 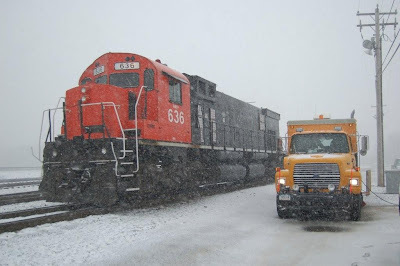 It would have for power two SD40-2s, CSX 8834 and CSX 8356, coupled with CSX 106 (AC44CW). 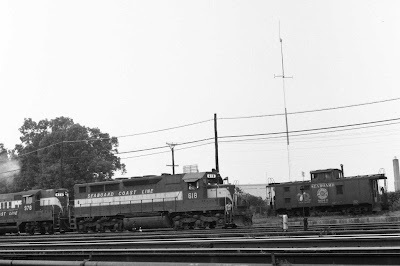 CSX C761 (Manville / Skillman) would have PRR 3001 (GP40-2, ex-CR 3278) and PRR 3057 (GP40-2, ex-CR 3382) shuffling cars around in Manville yard. At 9:35, NS 212 would arrive on the scene with the something new portion of this day. A trio of UP SD70Ms, UP 4492, UP 4637 and UP 4437, provided the motive power on this day. For me, this was a nice way to close out 2007's trackside trips. with the weather forecast calling for still more gray skies for Monday and Tuesday, I decided that Sunday afforded me to some trackside time. 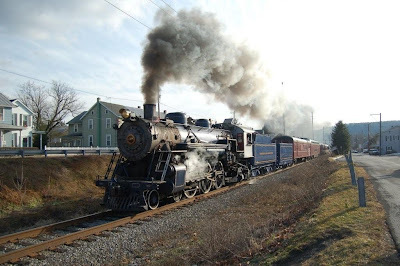 As it turned out, the trains were about as frequent as a sunny day in central Jersey! Only two trains would pass by my location. The first one was an NS intermodal carrying mostly TOFCs at 9:23. Motive power would be three NS diesels- two C40-9Ws NS 9700 and NS 9775 along with NS 8739 (C40-8). A few minutes later, CSX Q300 would finish working Manville yard and head east to Oak Island around 9:34. 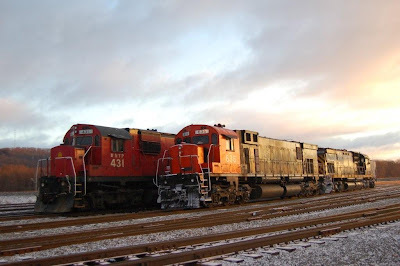 Motive power would be two ES44DCs-CSX 5453 and CSX 5271. At the tail end of this train was a number of EPIC garbage containers. A roster shot has been included for modeling purposes. After all, hauling garbage is now becoming a revenue commodity for NS and CSX.